Item # 304488 Stash Points: 2,199 (?) This is the number of points you get in The Zumiez Stash for purchasing this item. Stash points are redeemable for exclusive rewards only available to Zumiez Stash members. To redeem your points check out the rewards catalog on thestash.zumiez.com. 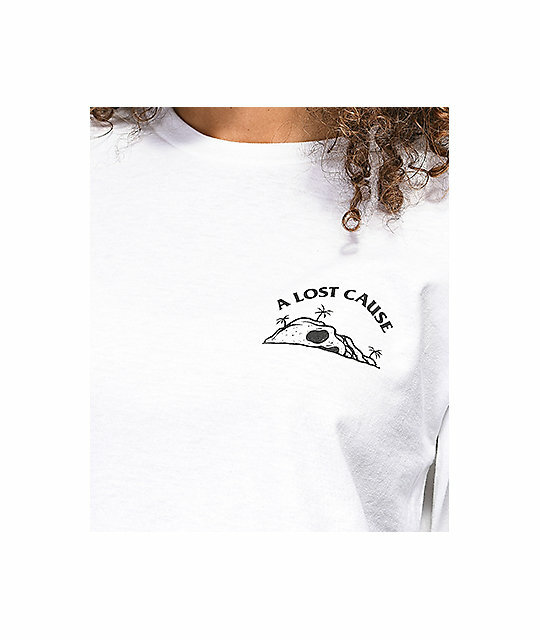 Bring some new screen print styling to your wardrobe with A Lost Cause's From The Depths White Long Sleeve T-Shirt. Designed with matching logo graphics found on the left chest and back for a clean cut graphic tee aesthetic. 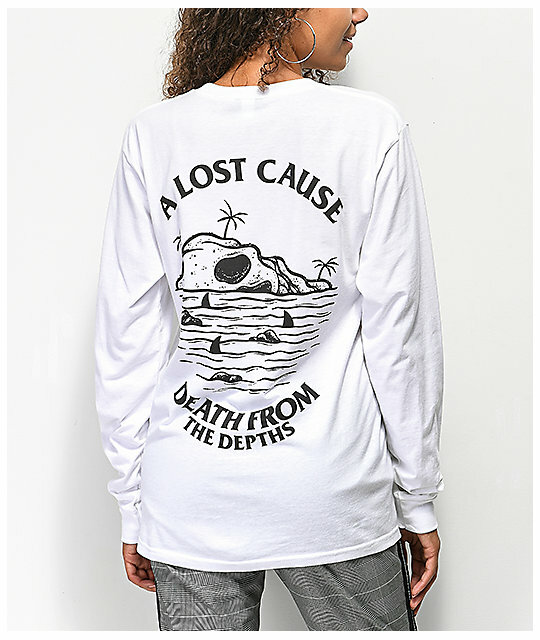 From The Depths White Long Sleeve T-Shirt from A Lost Cause.